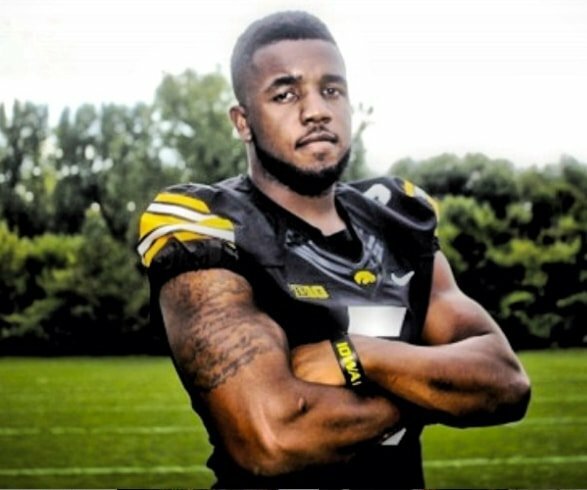 DUNCANVILLE—Damon Christopher Bullock, a former standout running back on the Iowa Hawkeyes football team, is dead at age 25. The former Hawkeye’s family confirmed Bullock’s death following a tragic accident near his home in Duncanville early Sunday morning. According to Duncanville Police Spokesperson Doug Sisk, about 4:00 a.m. Bullock was traveling westbound on W. Danieldale Road in a Chevy Malibu when he collided with a metal light pole. After striking the light pole, the vehicle traveled a little further westbound on W. Danieldale Road. where it stopped in the inside left lane of traffic. While Bullock was walking in the eastbound lanes of traffic, the driver of a Pontiac Grand Prix was traveling eastbound on W. Danieldale Road when it struck Bullock. The driver immediately stopped and called 9-1-1 and remained at the location until officers arrived. There were no indications the driver who struck Bullock was intoxicated or otherwise impaired. No charges are pending on the driver who struck Mr. Bullock. Bullock was transported to an area hospital for treatment; where he later passed away as a result of the injuries suffered in the accident. Officers spoke with the driver who advised he had just left his home and was on his way to work. During his college career, Bullock recorded 1,074 yards and four touchdowns for the Hawkeyes. The initial accident involving Bullock and the Chevy Malibu is still under investigation.